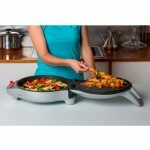 Make cakes, pizzas or prepare your best pancakes recipes! 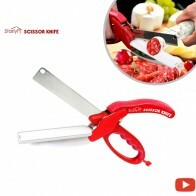 The all-in-one countertop cooking solution! It’s the best way to make homemade pizzas, cakes, pancakes, quiches, crepes, and so much more! How is it possible? Thanks to the Savormatic electric griddle. Its Secret lies in dual heating surfaces that let you baking your favourite dishes from the top and the bottom at the same time. 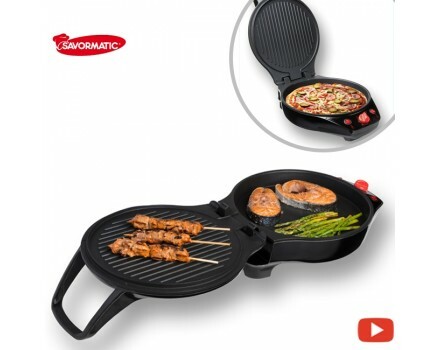 Open Savormatic all the way and you can cook on both sides at the same time. 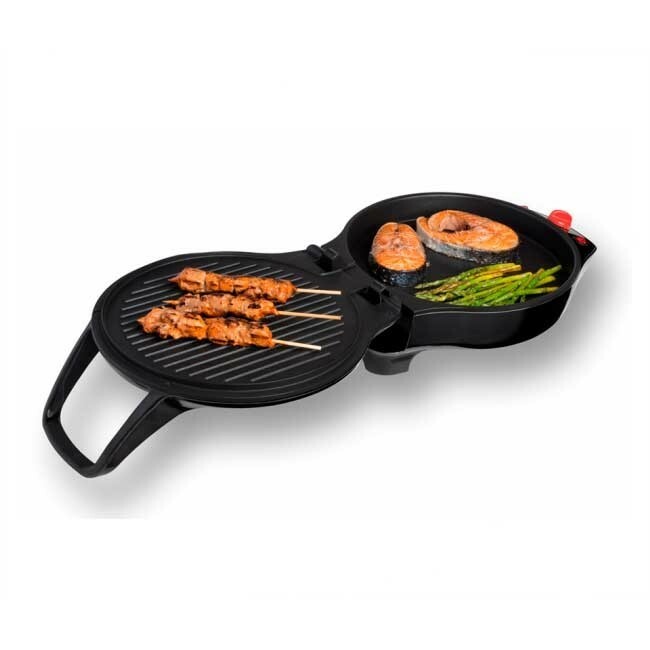 Grill steaks, fish, sausages or chicken on one side while you cook your favourite side dish or delicious toppings in the pan side at the same time. Or open the lid to 90 degrees and you have the superb non-stick frying pan perfect for cooking eggs, pancakes, sautéed vegetables or heating up leftovers. 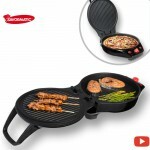 Savormatic is the easiest and most versatile counter top cooker you’ll ever use! 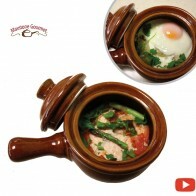 You will receive 8 silicon baking moulds and an exclusive recipe book absolutely FREE! But that´s not all! 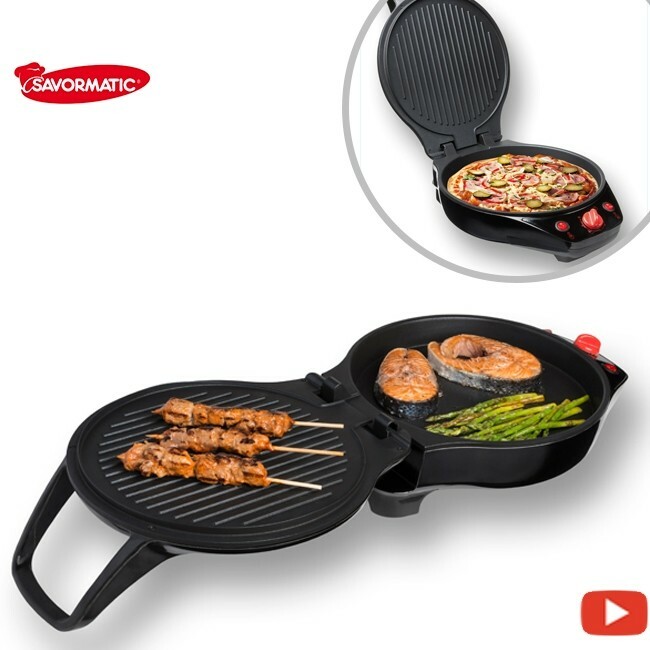 Now you can also upgrade to the stone coated Savormatic; It does everything Savormatic does, but delivers a natural “hot stone” cooking experience to bring out the deep down flavour in every meal and you will get it for only 10GBP more! 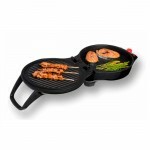 The ideal electric grill for your house. Don´t miss this exclusive TV offer and get your Savormatic NOW! Exclusive TV offer! It does everything Savormatic does, but delivers a natural “hot stone” cooking experience to bring out the deep down flavour in every meal. 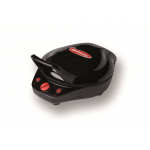 Make cakes, pizzas, quiches, fry, grill and much more! 8 Silicon baking moulds FREE! Bon appetitReview by Jethro C.
So good :pReview by Roberta B. Absolutely fantasic!!! 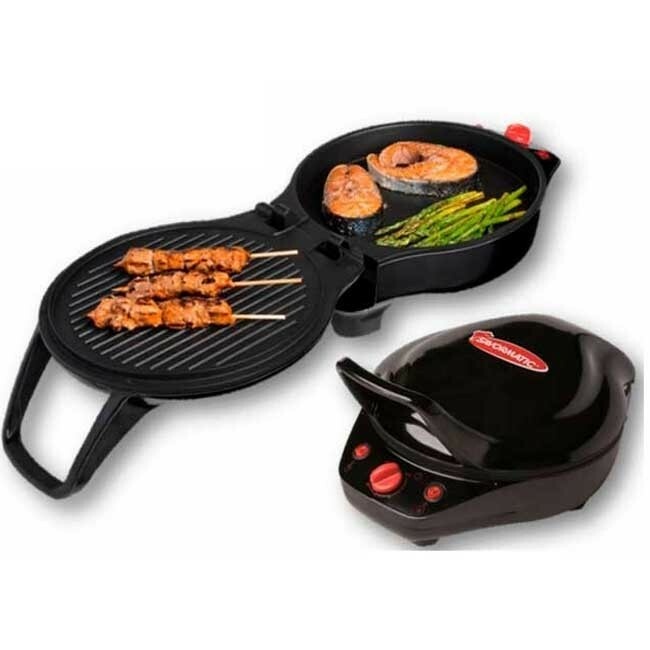 Heats up quickly and cooks the food perfectly! I purchased a cheaper low cost supermarket version and returned it after the first use as it broke. I wouldn't hesitate purchasing this slightly more expensive grill! It's amazingReview by Eli N.
This is one of the best things I have ever bought. It cooks with hardly any oil and it cooks very quickly - therfore this method is very healthy. It's absolutely perfect for stir-frys, risottos etc., but also for loads of other dishes. It sits anywhere and you can use it in your table if you're entertaining., I personally sit mine on my hob as it's just the right height to cook on. love it !!! Brilliant :pReview by Andrea E.
This is brilliant. Easy to use, easy to clean and makes everything taste great Particularly brilliant for chicken and is the best way to cook pizza. 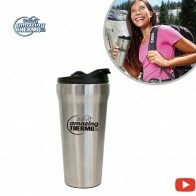 Looks greatReview by Bella E.
Really pleased with this product. I am a recent convert to these grills having bought another larger one for entertaining. I wanted something more versatile for day to day use and this seems to fit the bill. The addition of the deep pan and temperature gauge is superb. Can't go wrong :DReview by Edgar T.
I've tried other types but Savormatic is a winner for me. This one does the usual grilling and also omelettes and pizzas. Brilliant for my kitchenReview by Christine G.
I absolutely love the round shape, and the extra addition of being able to cook omelettes and quesadillas! The versatility of being able to cook different types of food in there means I use the grill much more often, and I feel like I've got my monies worth out of it.